Welcome to blogland, John - beware - blogging is highly addictive - and I know that with small kids and quilting as hobby you already have way too little free time! I've not tried fabric shopping with two 3YOs and a baby, but I have done it with a 5YO, 3YO and baby, which is not THAT different. Anyway, look forward to seeing your work & I have emailed you about making the image link work on your sidebar - maybe that will help! Hi John, glad you have made a blog and look forward to seeing your creations, love the sound of those fabrics you mentioned ! Your kids are gorgeous. Welcome to blogging. It is a tad addictive. But it can be fast, as long as you have a digital camera. 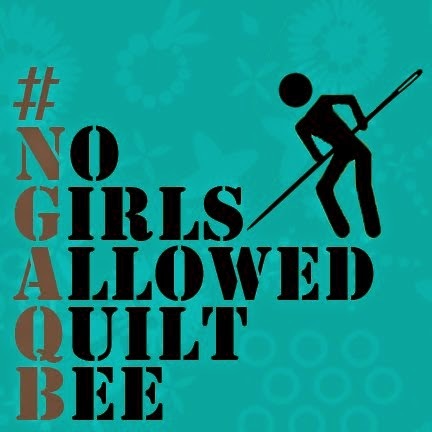 You are correct that most of us quilters are women, but there are a couple men in my guild. In fact, there are a couple men in my Weavers Guild too. Maybe you could start a "Men Of Sewing" webring! 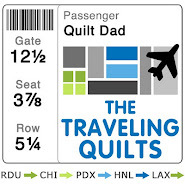 I look forward to watching your quilting progress and reading about your discoveries in the land of fabric! p.s. caution...swaps can be addicting! to see a guy sewing & quilting. i enjoy perusing your blog! !